Do you have the room (literally) to work from home? Will that space accommodate everything you need for your specific job? Do you have the equipment that you will need to work from home, or will your employer provide that for you? All good questions – all things to ask about! This is where you really need to know yourself. You know better than anyone else what level of discipline you have. This is not meant to sound harsh, just meant to manage the expectations for the reality of working from home. If you find that the days your boss is away are less productive for you at the office because you know there is no one watching you, would you do well working from home? How will you ensure that you will not get distracted and lose your productivity if there is no one physically next to you to hold you accountable for your work? This one…not to go unnoticed. Are you going to enjoy the actual job? Yes, maybe this is finally your chance to work from home, something you have always wanted. But what about the job responsibilities – will it be worth it? Working from home can be confusing for your family. You are home. But you are working. Are you available for whatever they may need? Will your kids understand when you are on a call? Or will it be the opposite – you are trying to be home and work is getting in the way? 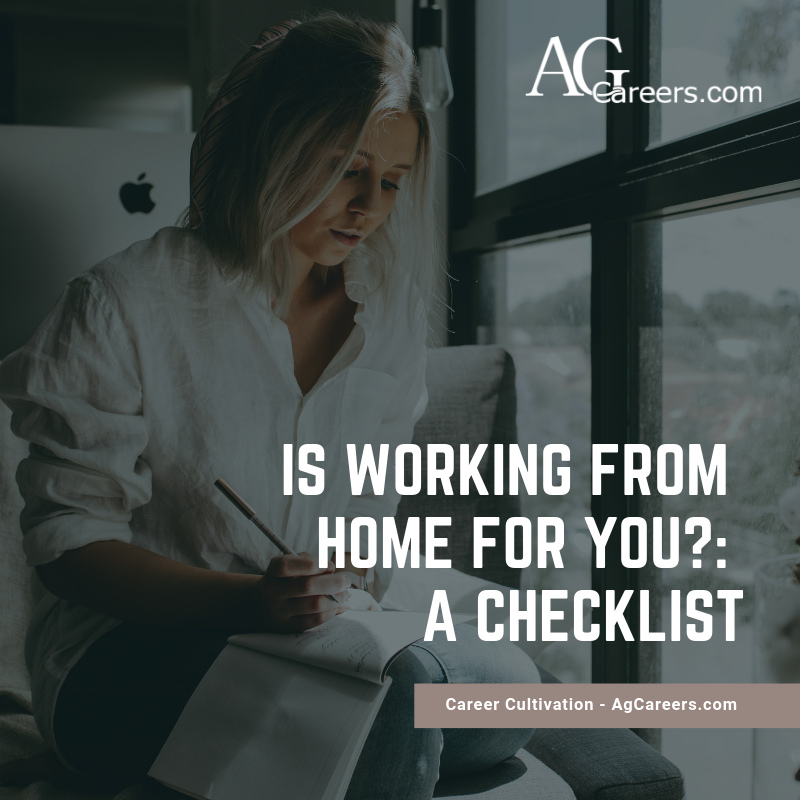 It can be hard to separate work life from home life when they physically happen in the same place. This is real. How is your wifi connection? Do you live out in the country where wifi is not as strong? Will that influence your work, or is that no problem? Yeah, you are the one with the bill. If you work from home, you add an extra eight hours of water, utilities…all the basics each day. It is likely that you will end up paying more for these things than you did in the past. Are you financially prepared for that shift? Let’s be honest, it will be a bummer not getting a slice of your coworker’s birthday cake when the office is celebrating. Things are different when you work at home. But is it worth it? Ultimately, it is up to you. If you have gone through this checklist and the option sounds great, give it a try!